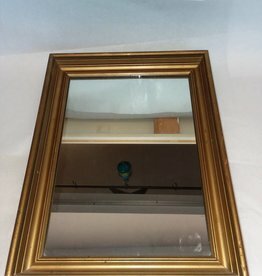 c.1900, Victorian Wood Framed Mirror, w/Gold Gild Gesso Frame, Masonite backing. Frame shows wear but mirror is in excellent condition. 18x13"